Developers are offering a $5,000 reward to anyone who will provide a suitable home for 50 prairie dogs to relocate them from a housing construction site, and it looks like WildLands Defense has come to the rescue. Sort of. The animal activists are not actually taking the animals, instead they want taxpayers to pick up the tab and move the critters to public land, because their own members are too hypocritical to let the prairie dogs crash at their place. By dependent, what they really mean is that the prairie dogs don’t need to be saved so they can burrow free and frolic over the meadows. Other species depend on prairie dogs to be their food. And therein lies the solution. 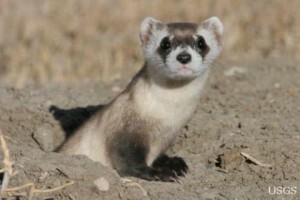 Turns out the plague has about wiped out the ferret population in Montana. We bet those folks would be willing to claim the prairie dogs for free. « BENNET’S BUCKS: Who is Giving Money to Michael Bennet?